I keep coming back to this because it’s just so true. Any time I show this in a presentation, many heads in the room nod in agreement. In case you are not familiar with the SDGs, let me quickly introduce you. There are 17 categories and 169 targets the United Nations has set forth as global goals to improve the condition of society and our planet. The SDGs were originally developed to address national level issues; however, thousands of businesses around the world have adopted the framework to give greater context and meaning to their sustainability efforts. You can learn more about the SDGs here. In a series of blogs, I want to break down some of the SDG targets into ideas that are approachable and achievable. And since I believe so strongly in the power of a green team (or whatever name you give your cross-functional group that works on sustainability and corporate social responsibility), I’ll include some tips and ideas for how a green team helps you achieve that target. In this blog, we’ll look at SDG #4 and SDG #13. Start with yourself. The SDGs can be a personal motivator. If you are committed to sustainability and doing good in the world, have you educated yourself on core concepts? This doesn’t require getting a Masters degree in sustainability (but if that’s your desire, then go for it!). There are tons of great resources for learning more about sustainable development. Click here and scroll down Class Curriculum and click on Module 2, Part 1 (available for free Preview) and download the PDF titled Alphabet Soup of Sustainability. This document contains some suggested resources for learning more about sustainability. While you’re there, watch the video too. Spread knowledge and skills to others. For example, you can create a diversity and equality policy and create a strategy for training and development. You very likely already have such a policy (it’s safe to say that by now such a policy would be considered a “mediocre idea”) but how confident are you that staff know how to apply its contents? Teach employees when and how to use the policy. Keep it simple. Don’t require people to sit in a room for 3 hours, bored to death. Don’t expect memorization and testing to help when a sticky situation arises and an employee needs to exercise good judgment to promote inclusivity. Dialogue and practice are the “brilliant execution” here. How can you contribute to this target? Continuing the theme above, educate yourself on basic energy conservation measures. No doubt, the more you know, the more your behavior changes – from little things like turning off a light when you leave a room, to big initiatives like advocating for a building management system with smart controls that detect unoccupied areas and adjust heating, cooling, and lighting accordingly. Through a green team, knowledge spreads in your organization (this builds ‘institutional capacity’). Ask your team to take note of where energy can be saved. There are many online resources to help with this – they can even attend Energy University for free (courses available in other languages)! Review operational efficiency opportunities, such as reducing energy consumption (through initiatives like LED lighting replacements), using more renewable resources for energy, and lowering greenhouse gas emissions (through efforts such as HVAC upgrades and regular maintenance). Start with small and manageable projects. 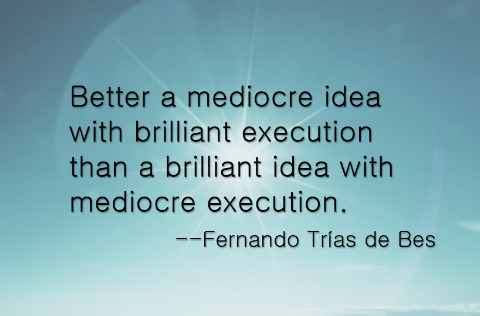 The “brilliant execution” here is project management and reinforcement. In the next installment, we’ll look at more SDG targets and some simple ways to break them down into achievable steps.